New Delhi: The newly-appointed general secretary of Congress Priyanka Vadra kicked off her party’s bid for 2019 polls in Lucknow on Monday. She was accompanied by her brother and party chief Rahul Gandhi even as her husband is facing a constant grilling by the Enforcement Directorate (ED) in cases pertaining to undisclosed overseas properties which could also be connected to kickbacks in deals involving arms dealer Sanjay Bhandari. Robert Vadra wished his wife well ahead of the Lucknow rally. 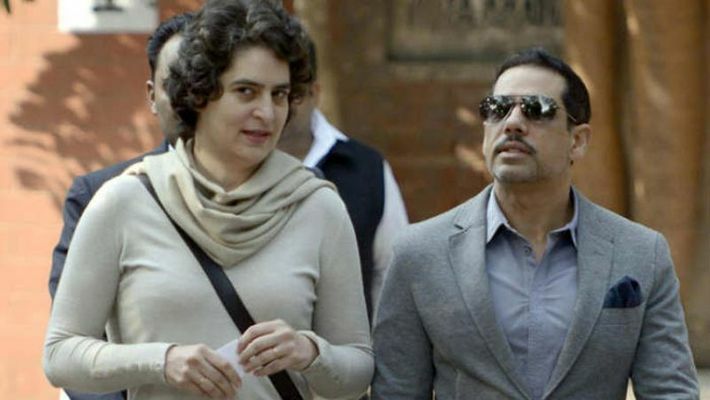 While Priyanka Vadra was busy handing out the promise of a resurgence to party workers in eastern Uttar Pradesh, the charge for delivering which has been given to her, her husband reached Jaipur to be questioned by the Enforcement Directorate in yet another case of money laundering related to a land deal in Rajasthan’s Bikaner. Priyanka Vadra has been entrusted with the task of Congress’s revival in eastern Uttar Pradesh where the party was once strong. So much so, Phulpur was the Lok Sabha constituency of former Prime Minister Jawaharlal Nehru while erstwhile Allahabad, now Prayagraj, is the family home of the Nehru family. In the last two elections, the party had fared rather poorly in this part of the politically significant state of India while the BJP wrested the whole of the state from regional caste-based formations such as the Samajwadi Party (SP) and the Bahujan Samaj Party (BSP). Eastern Uttar Pradesh has become the stronghold of Prime Minister Narendra Modi who was elected to Lok Sabha from Varanasi, one of the holiest places associated with Hinduism. Lately, Uttar Pradesh chief minister Yogi Adityanath has emerged as another strong political figure for the BJP in the eastern parts of the state even as the party lost the prestigious Gorakhpur and Phulpur seats in the last by-elections. While Gorakhpur was the Lok Sabha seat of Yogi Adityanath, Phulpur was that of Keshav Prasad Maurya, one of the two deputy chief ministers of the state. According to reports, Priyanka Vadra might begin a tour of eastern Uttar Pradesh after the Lucknow rally. Over the next three days, she will visit some of the 40 Lok Sabha constituencies that fall under her jurisdiction.